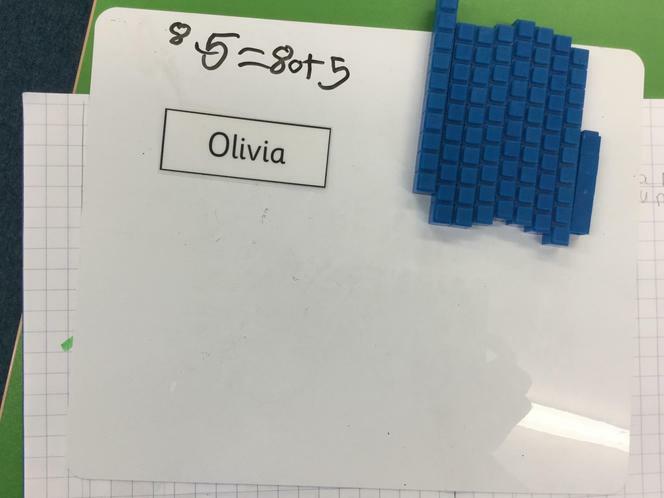 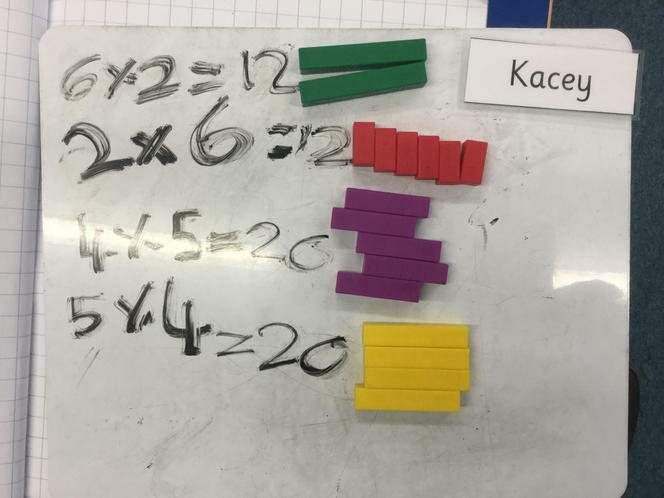 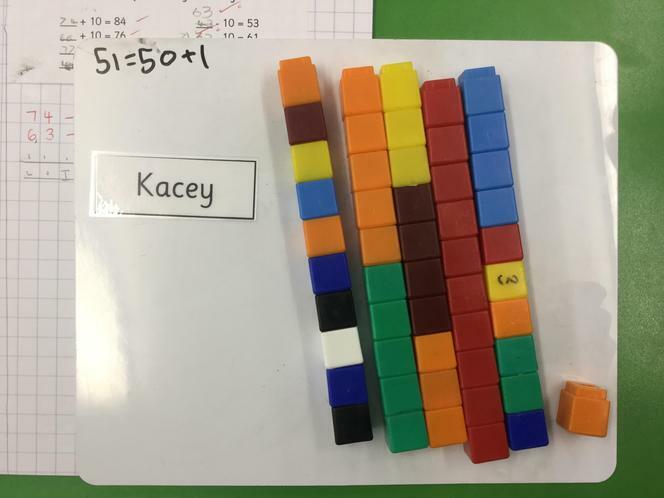 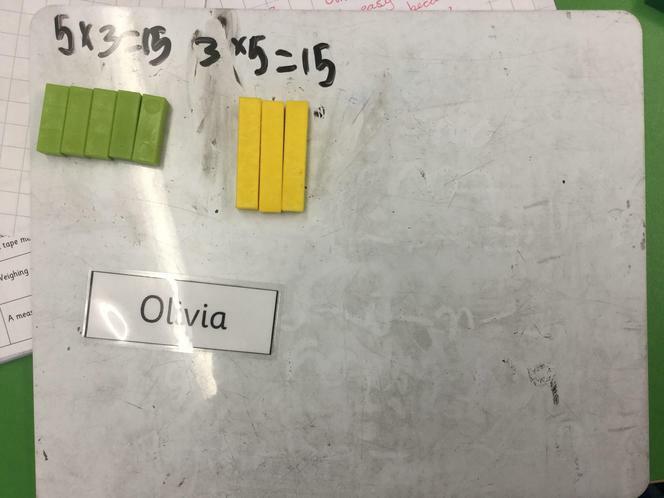 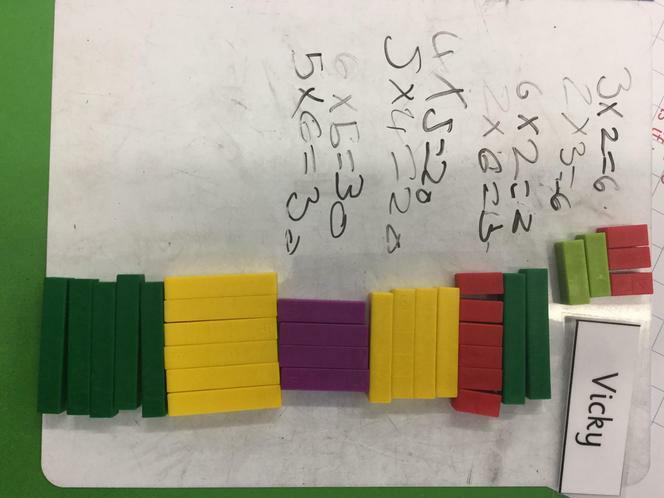 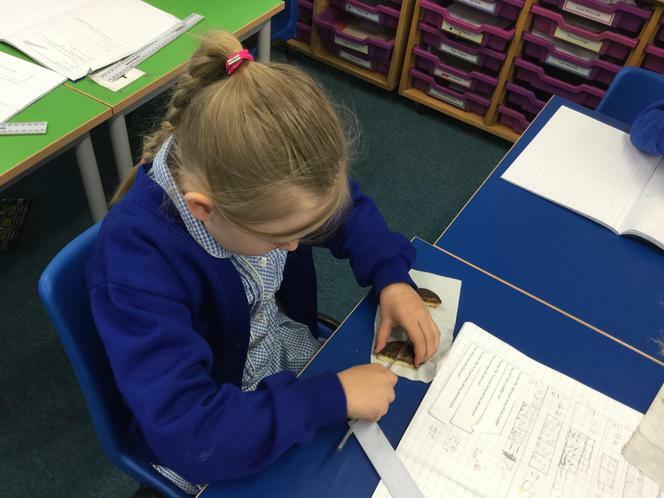 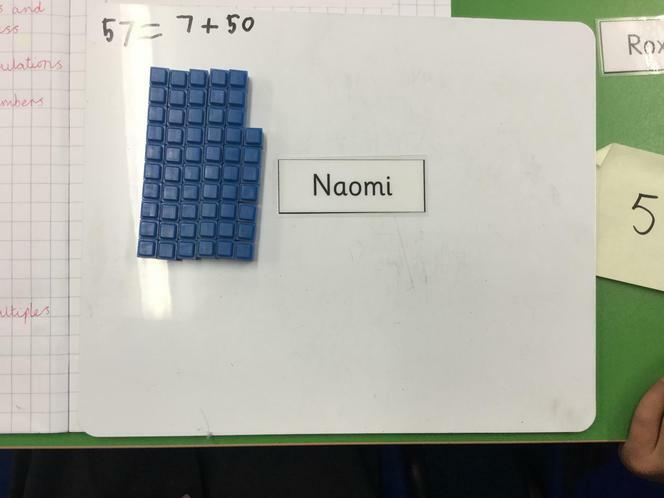 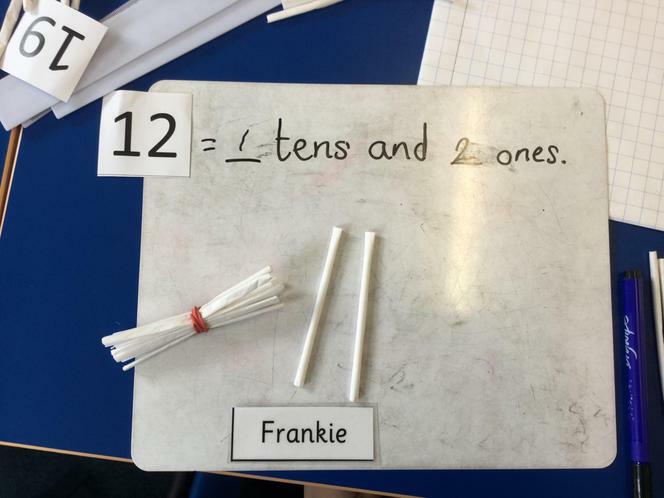 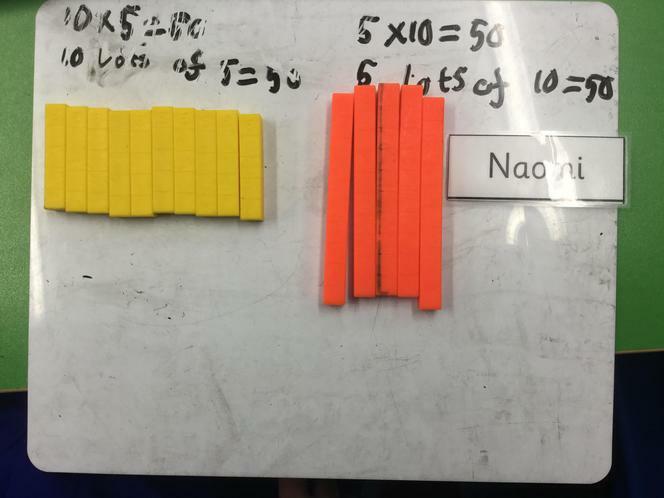 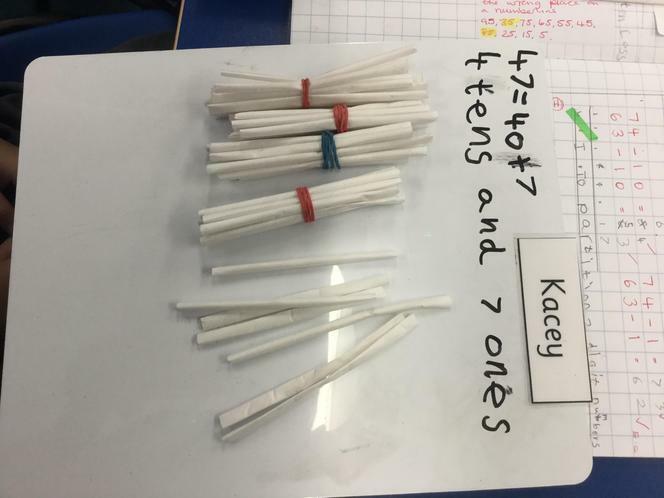 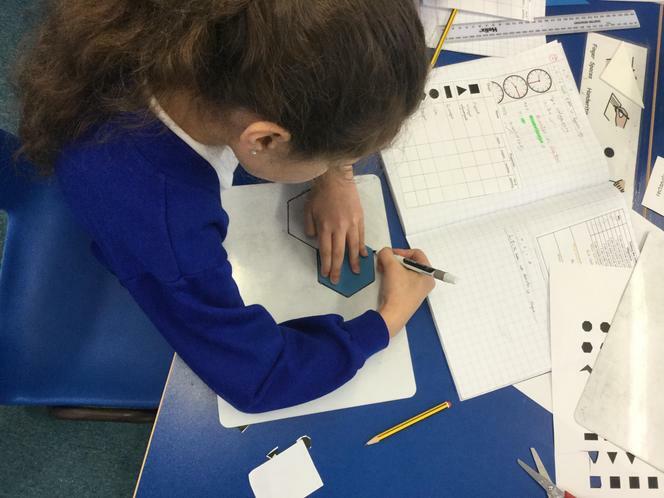 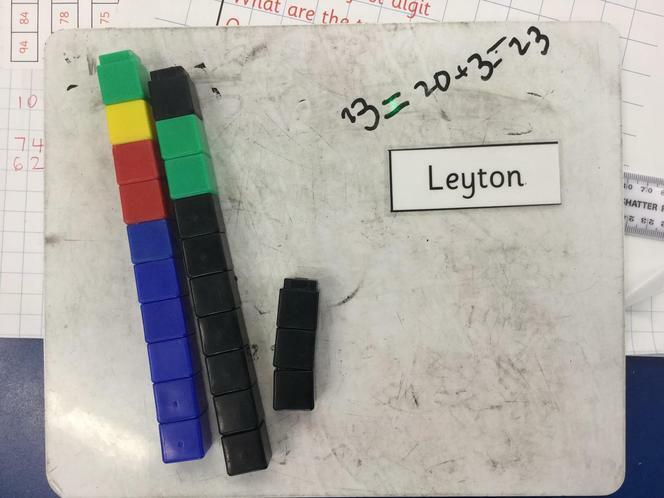 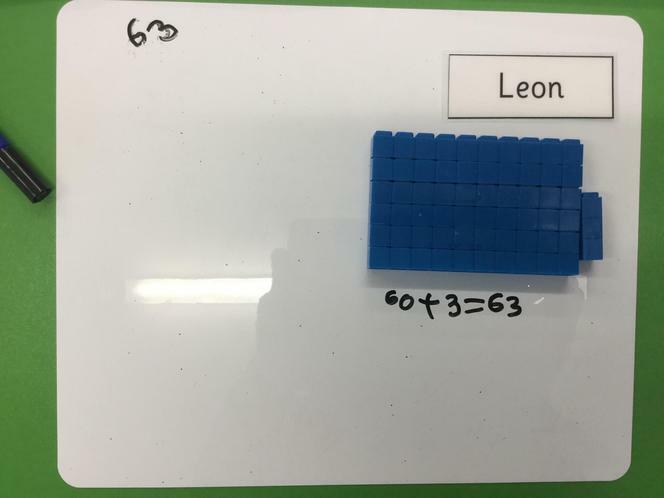 This week we were learning about fractions. 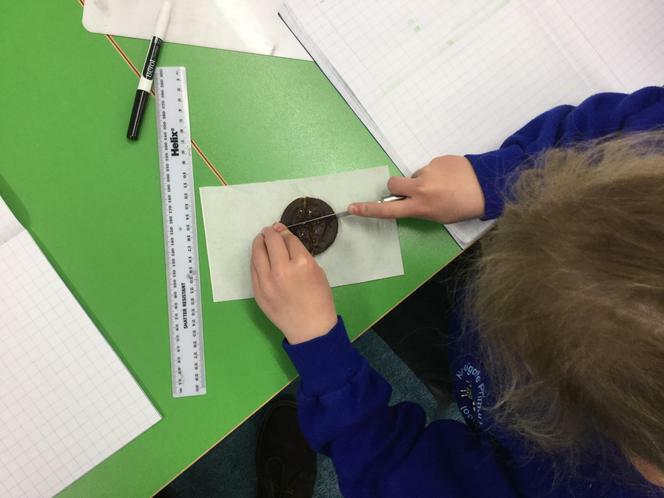 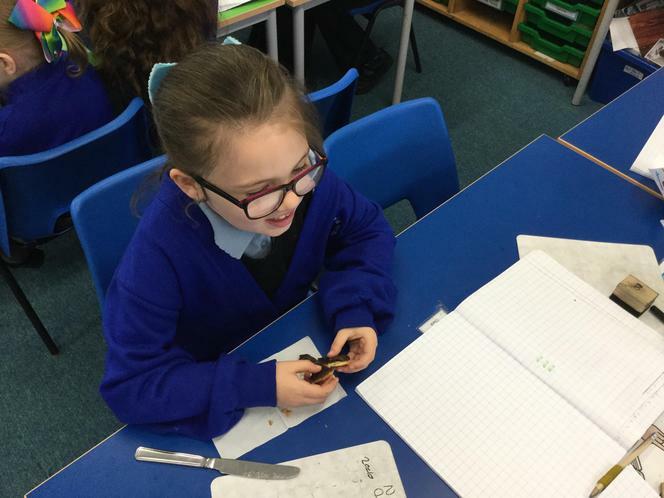 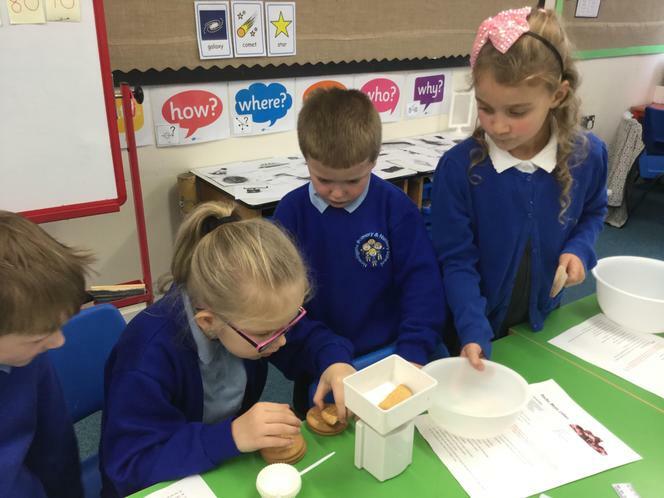 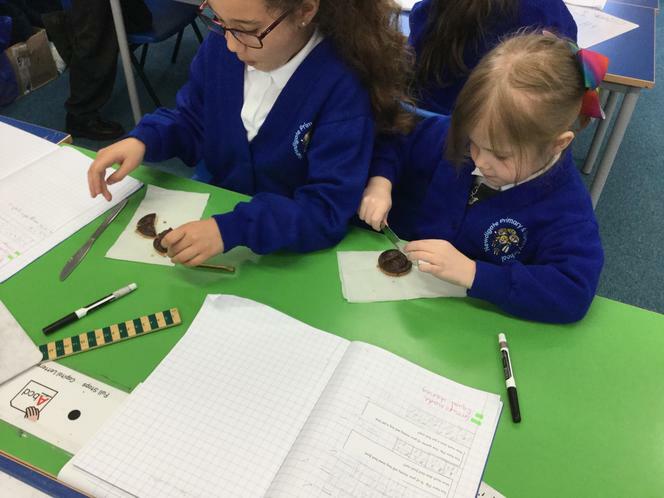 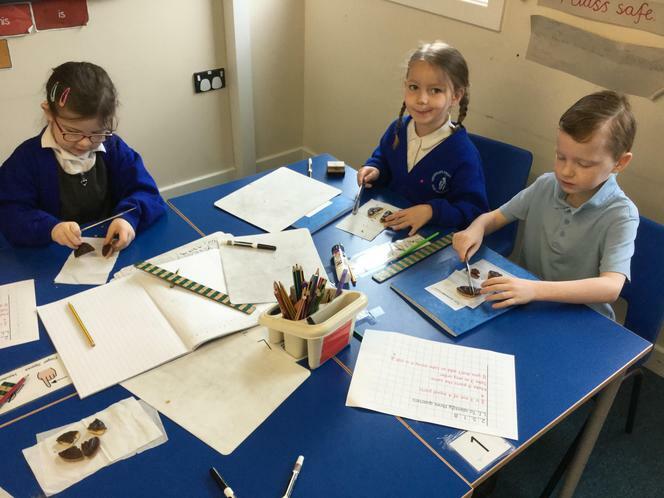 After quartering and three quartering Jaffa cakes we decided that it was better to eat three quarters than one quarter because it was more! 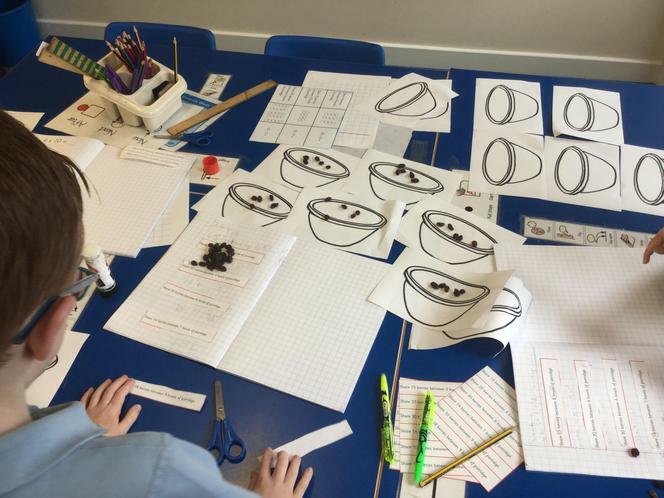 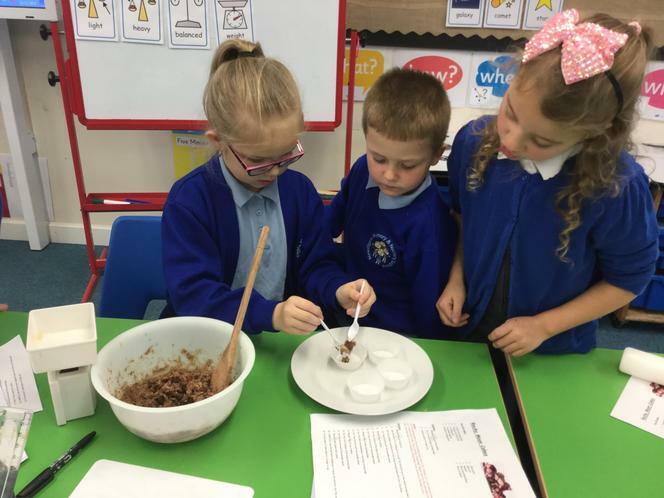 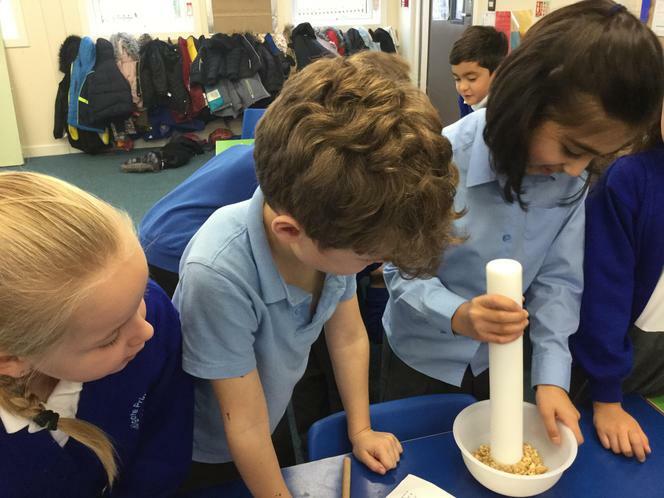 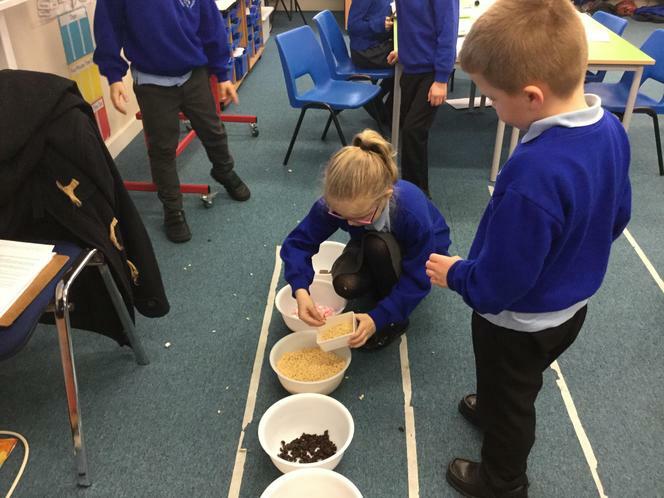 We have been reading different versions of Goldilocks in English so we have been sharing porridge toppings between bowls in maths. 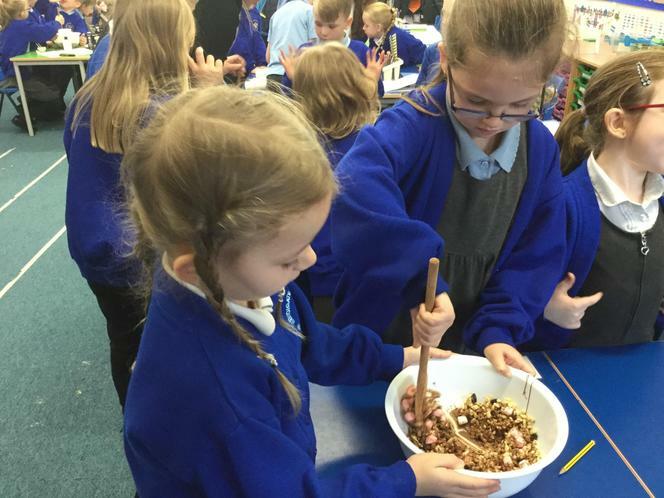 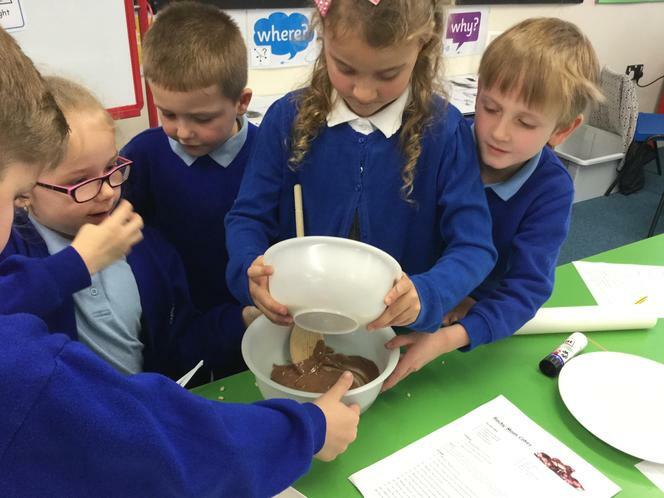 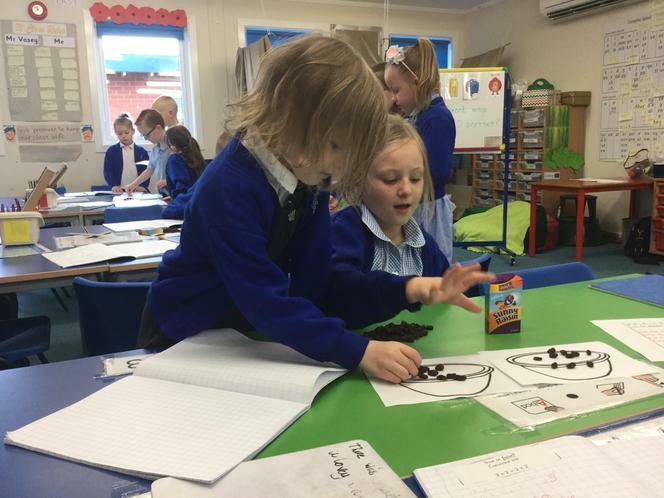 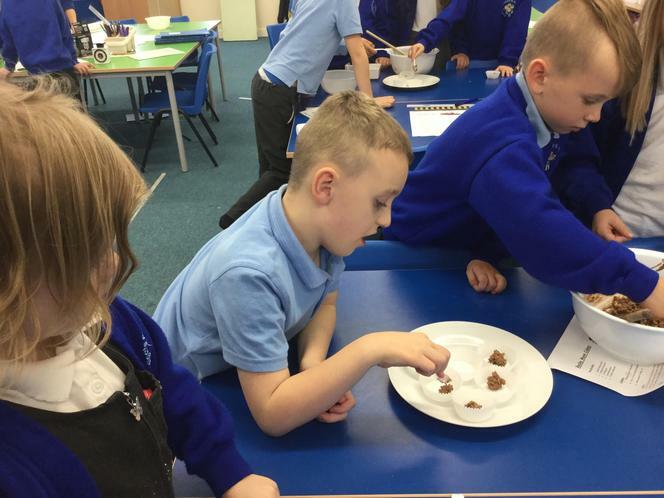 We were given 20 raisins to share between bowls in groups. 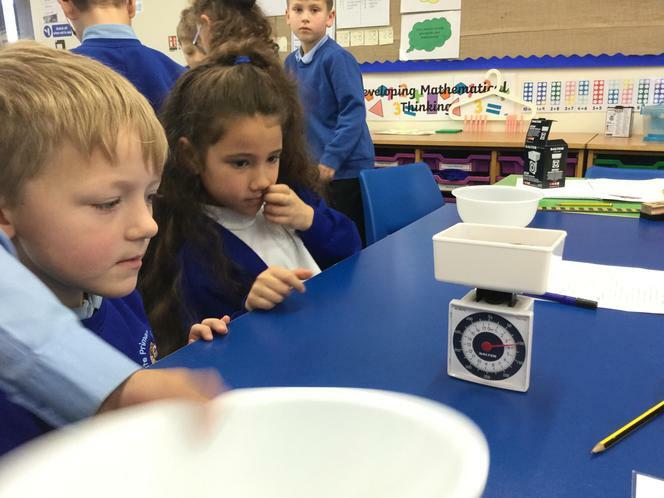 We had to see which number of bowls would work and which wouldn’t. 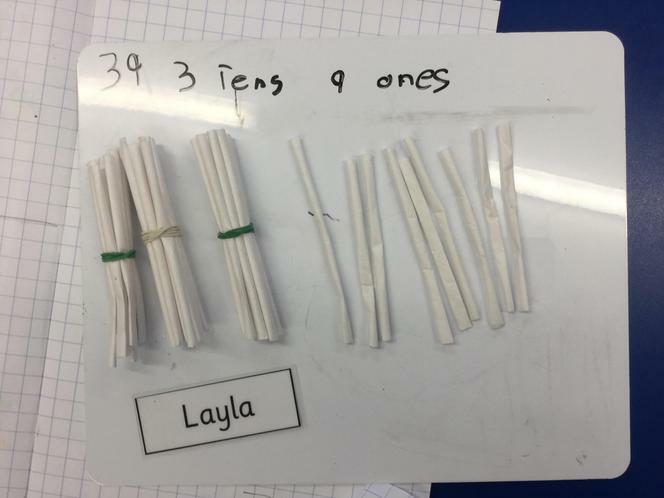 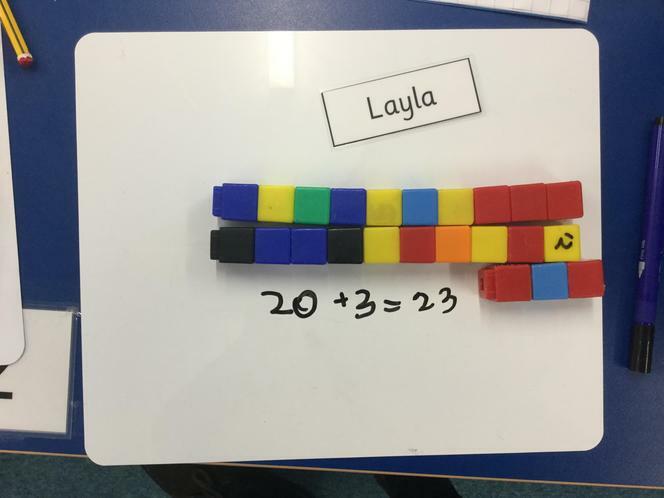 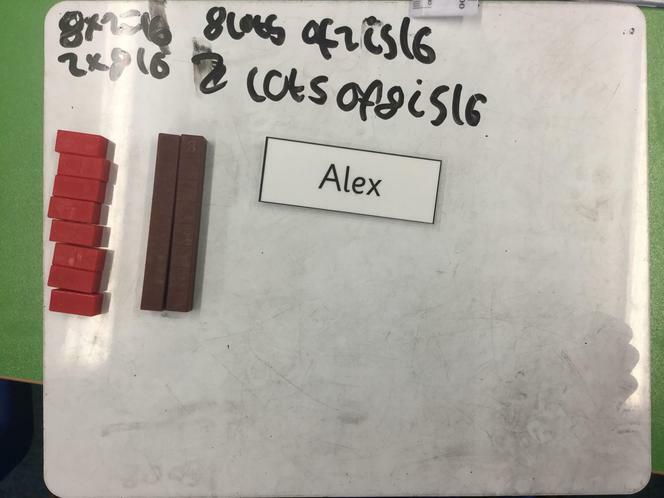 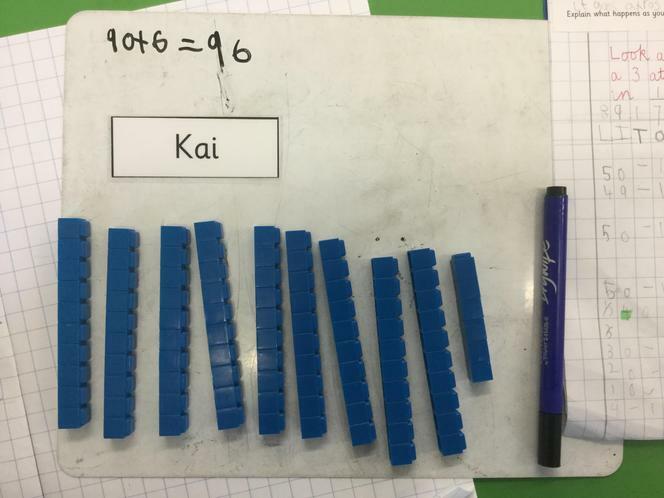 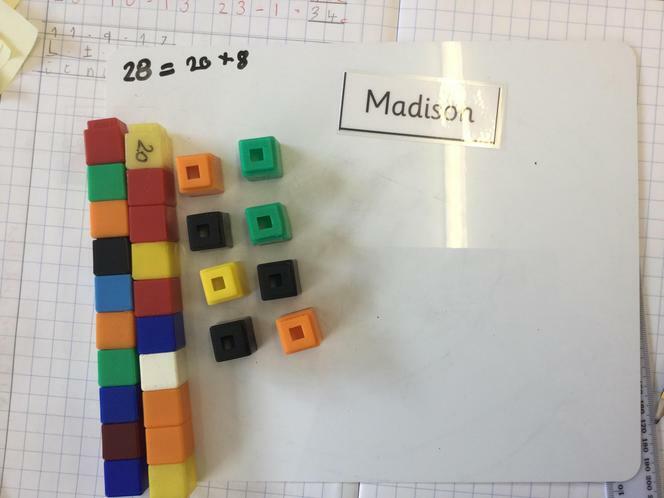 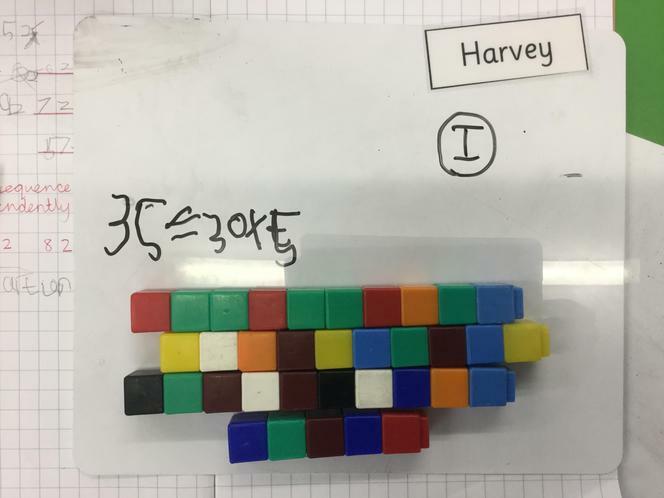 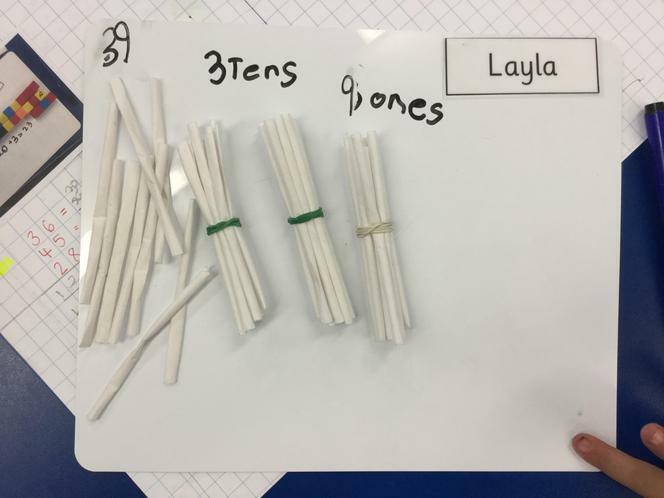 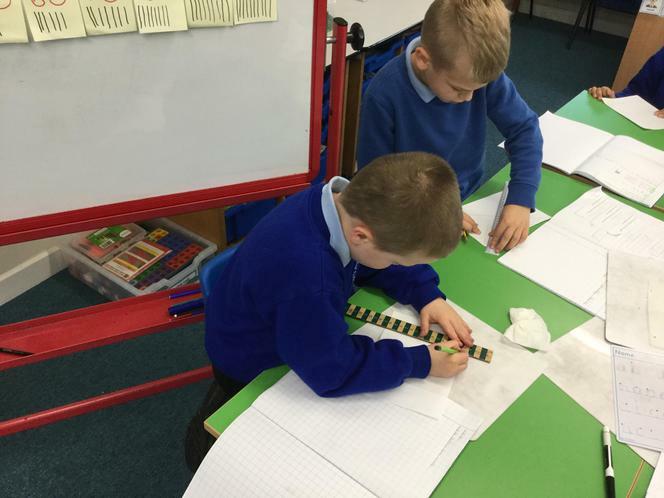 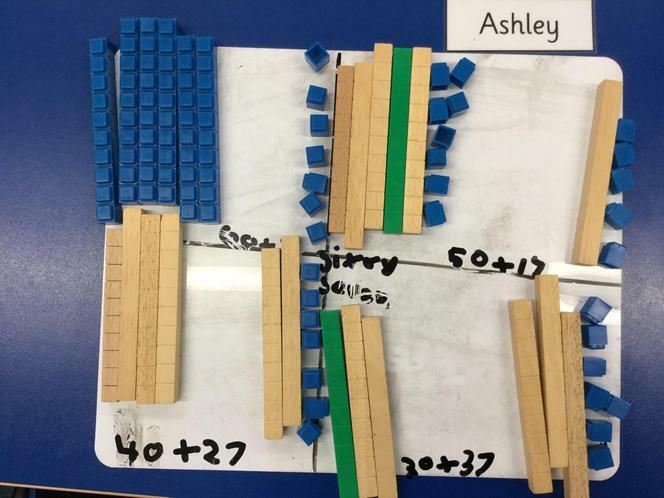 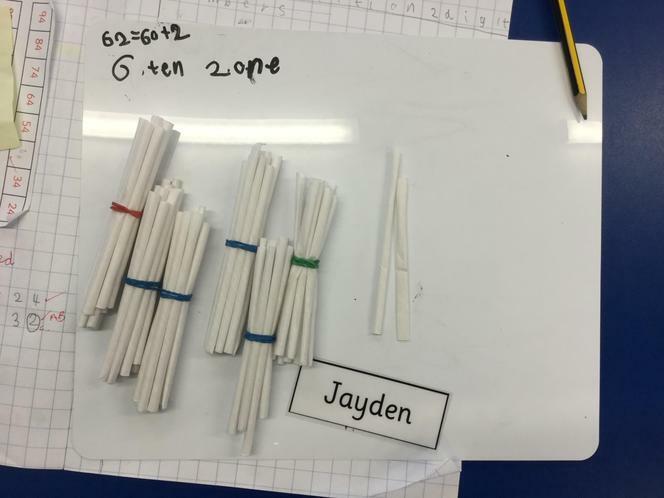 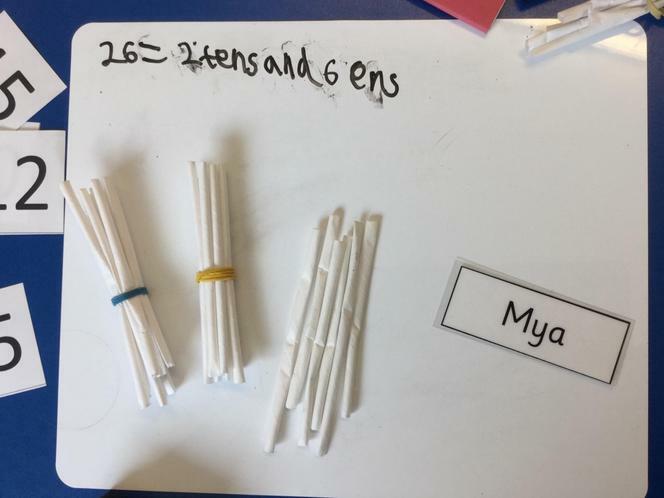 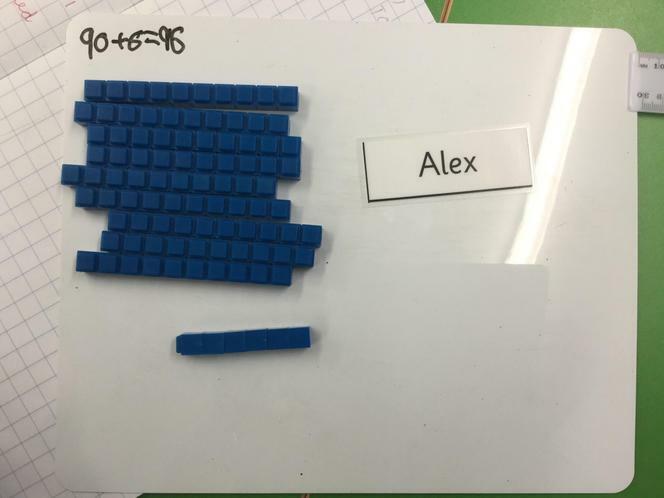 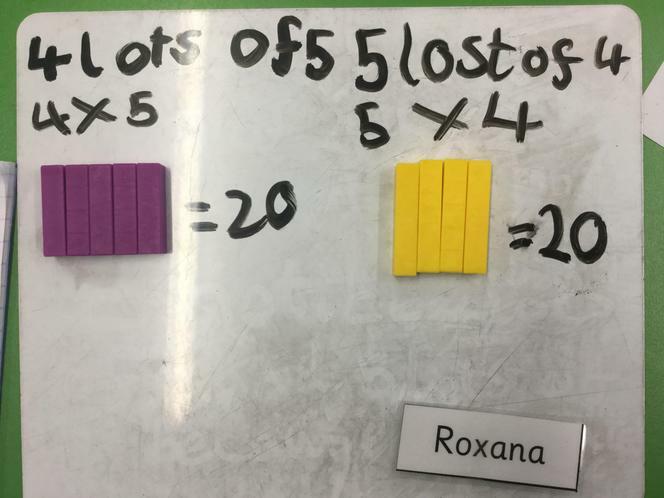 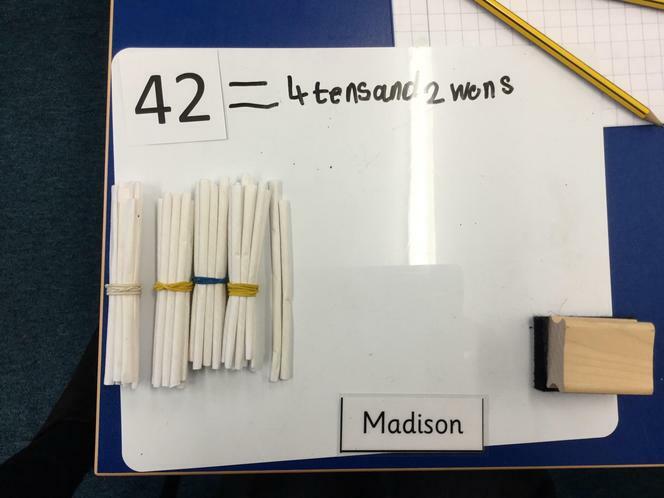 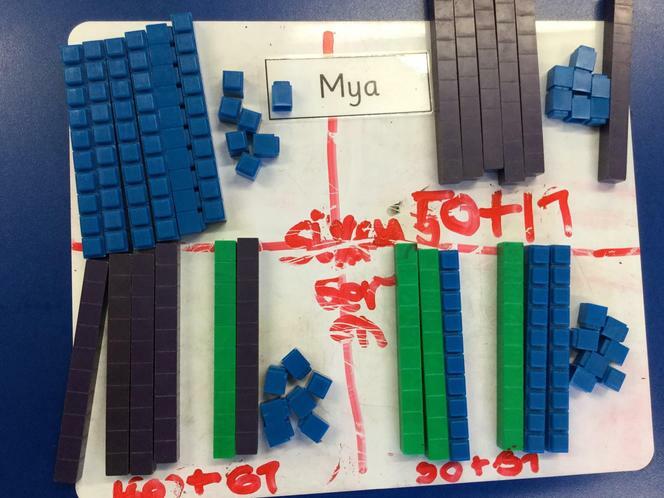 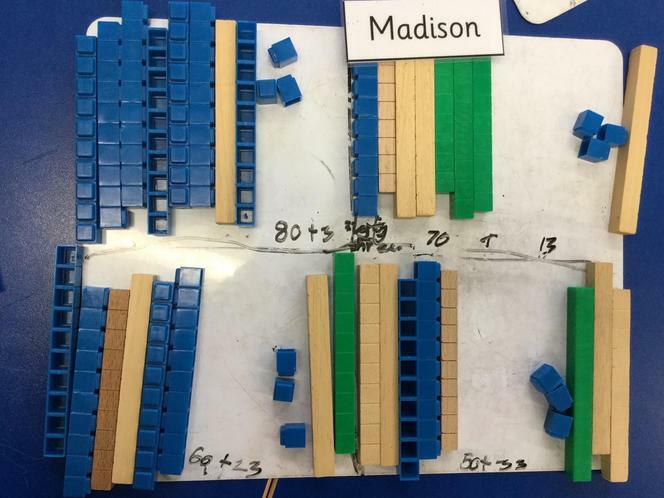 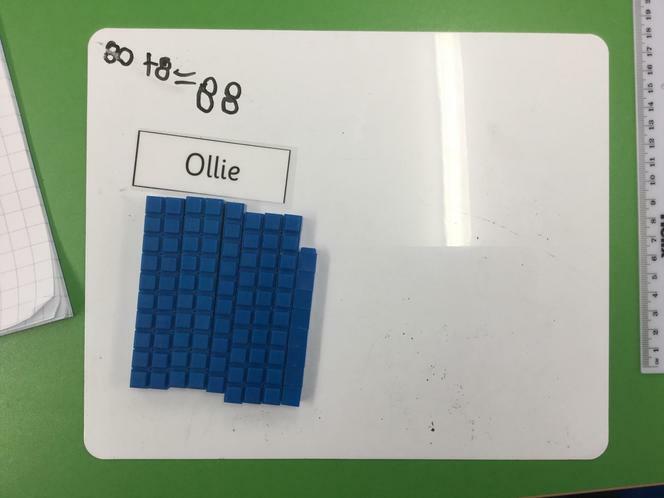 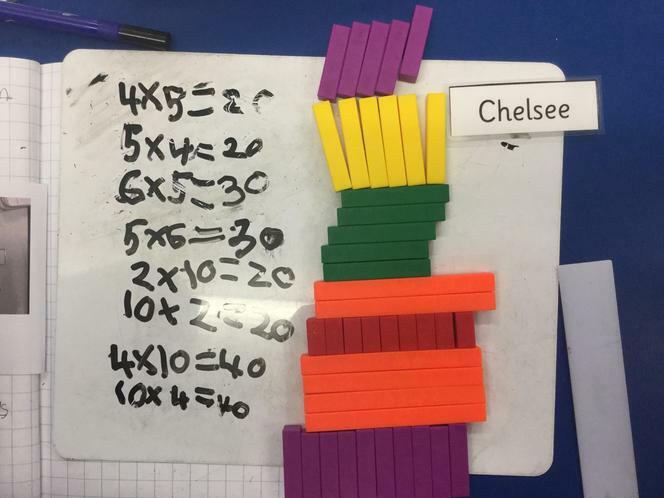 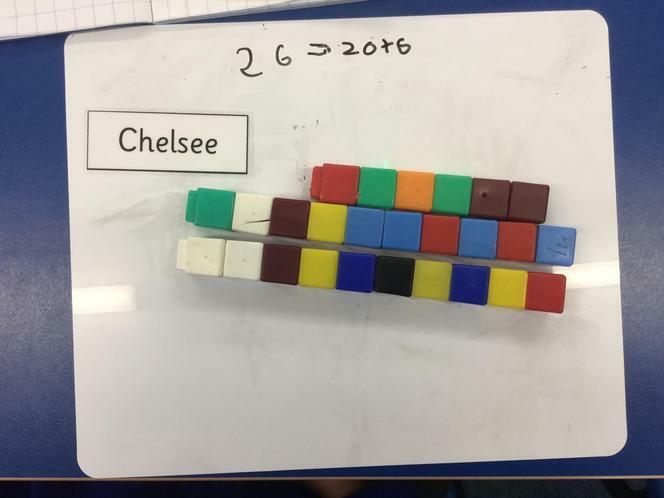 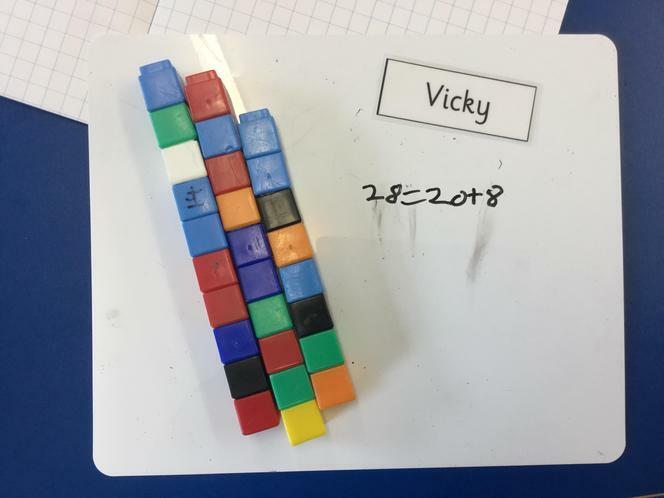 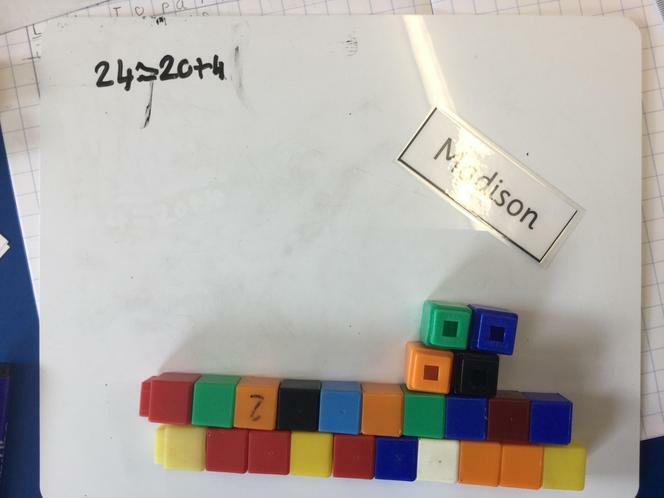 We used number rods and cubes to make ‘lots of’ when investigating multiplication using arrays. 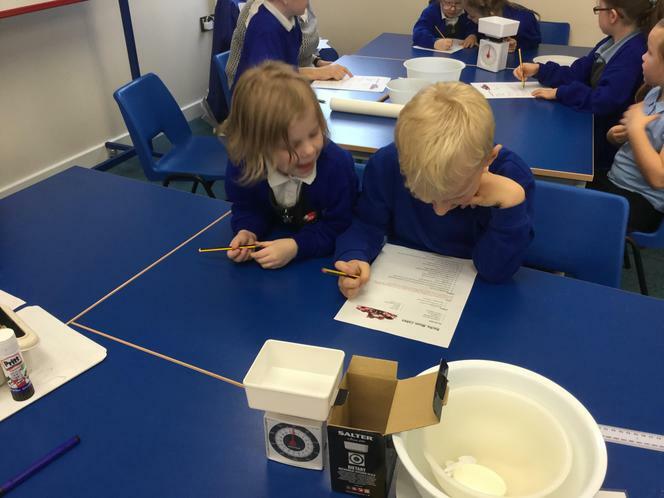 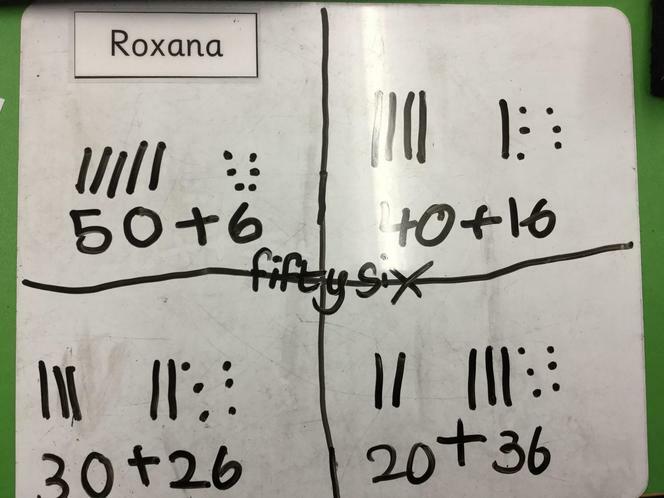 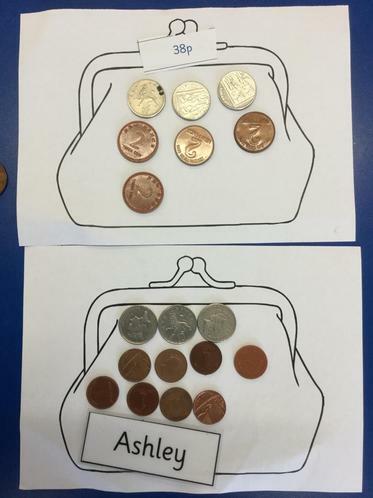 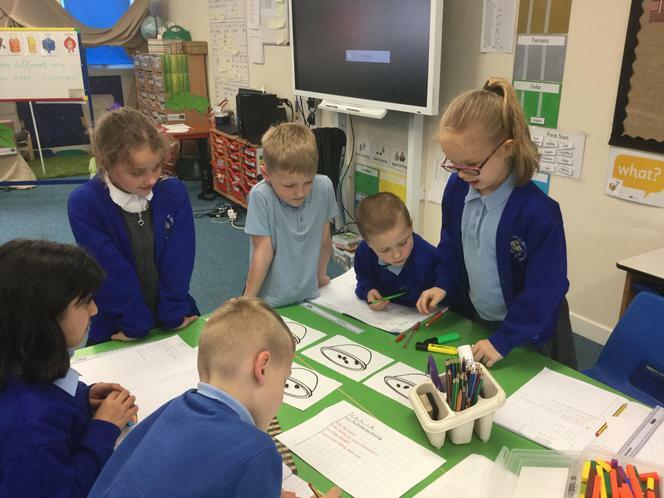 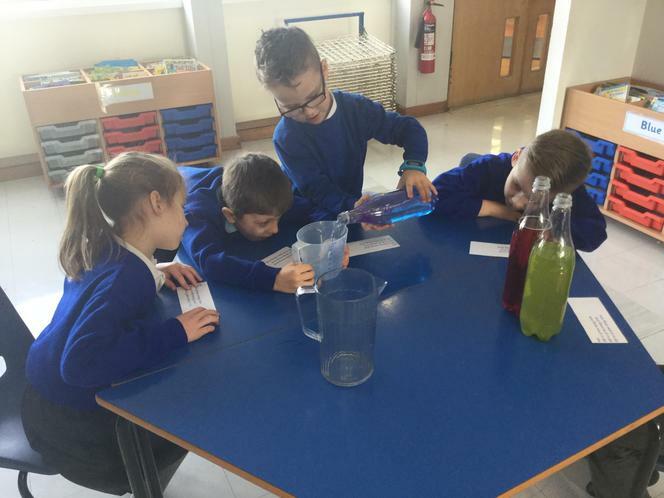 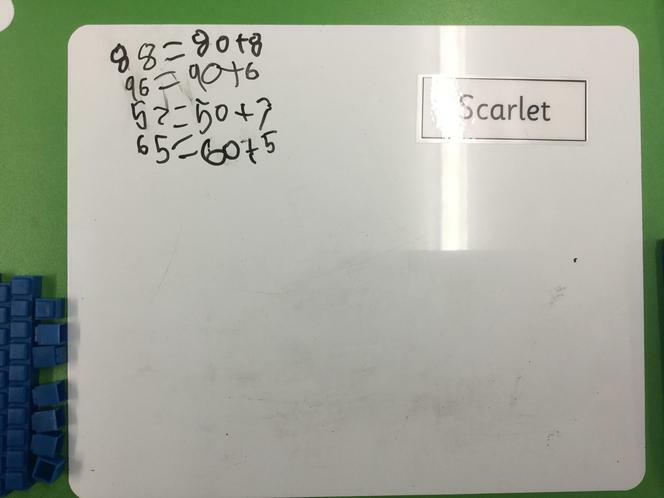 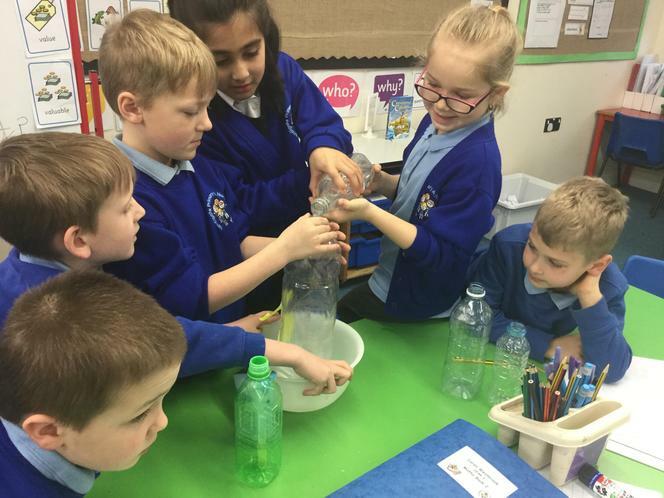 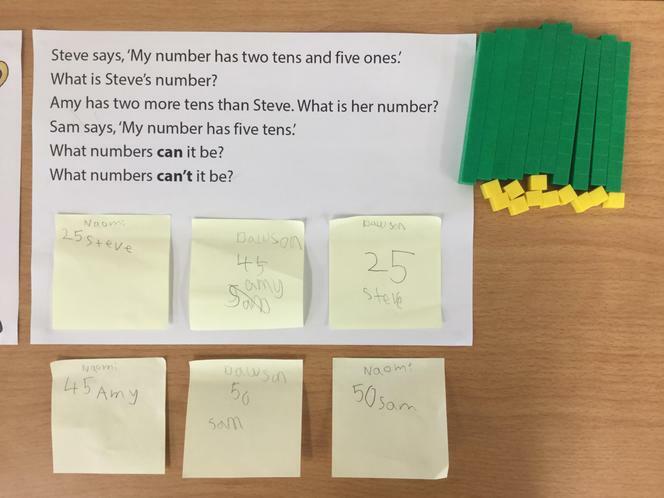 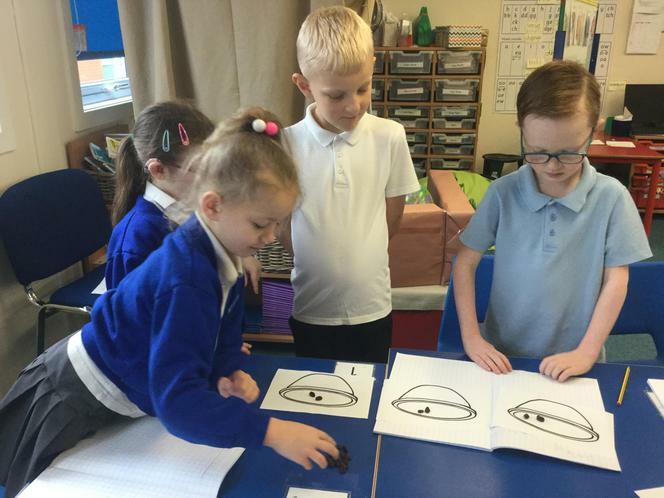 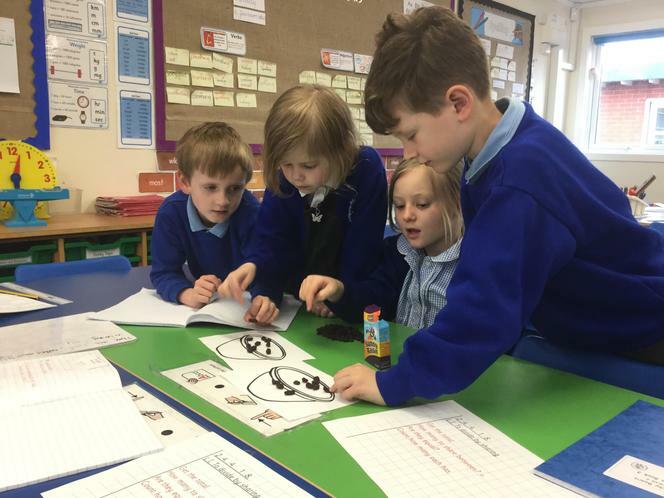 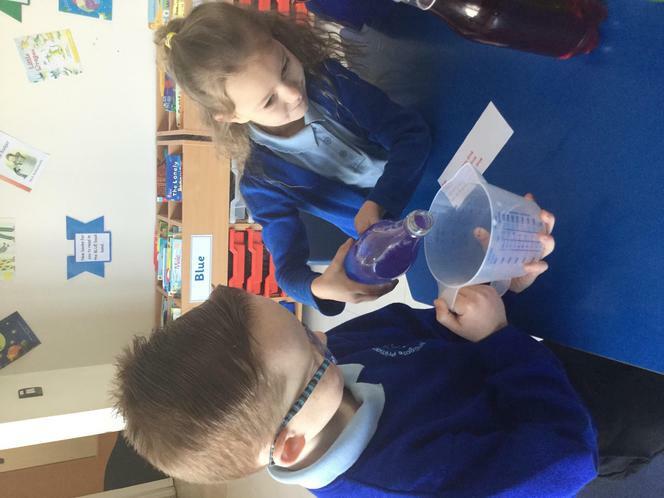 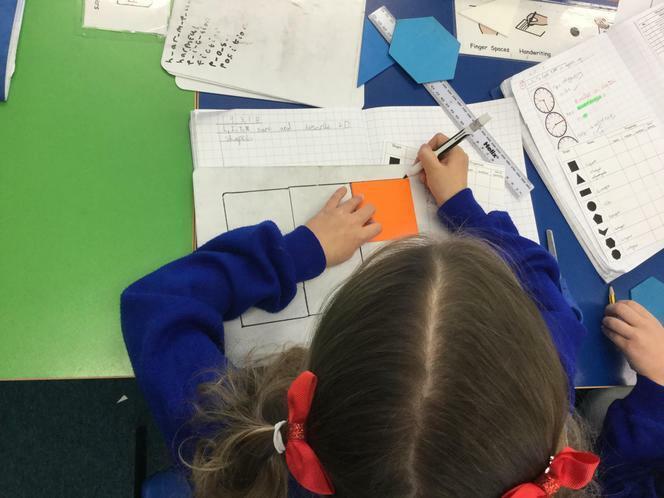 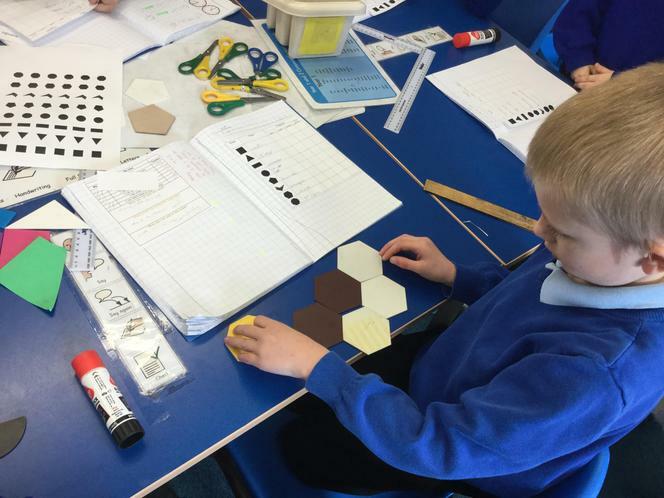 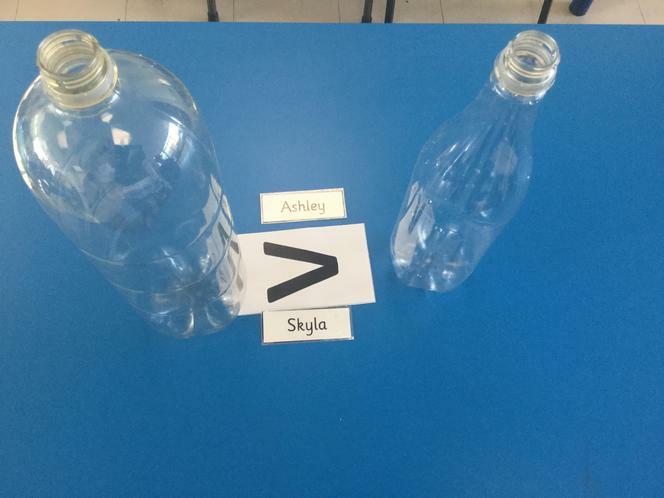 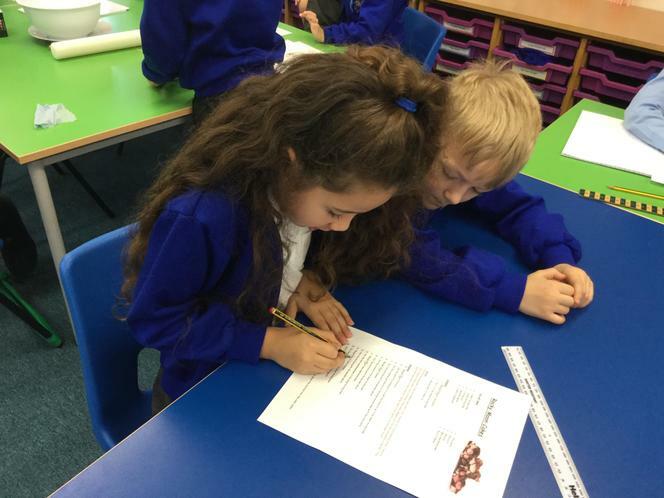 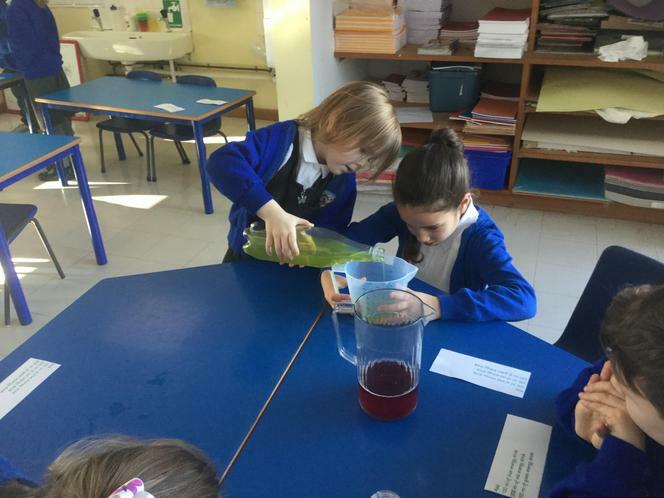 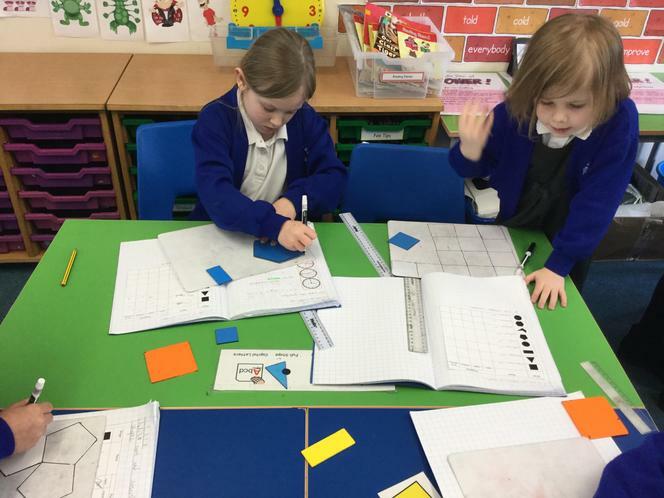 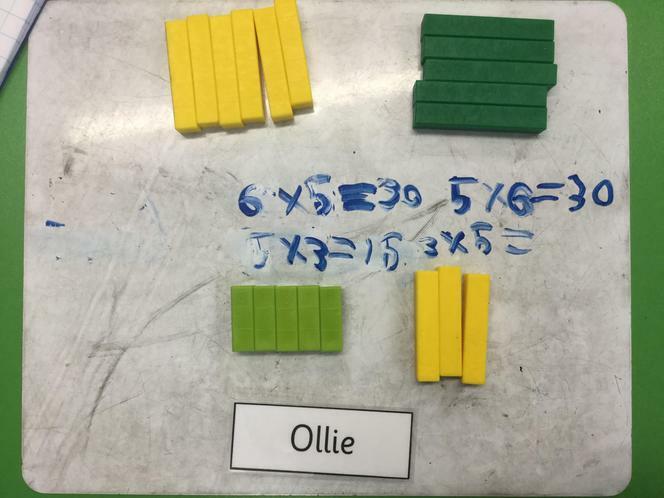 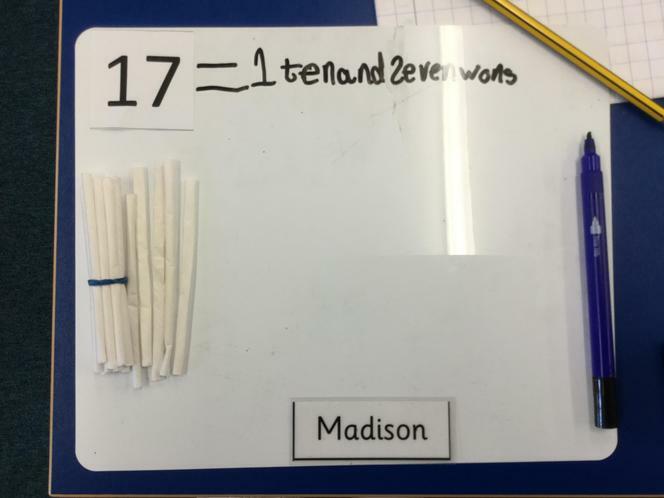 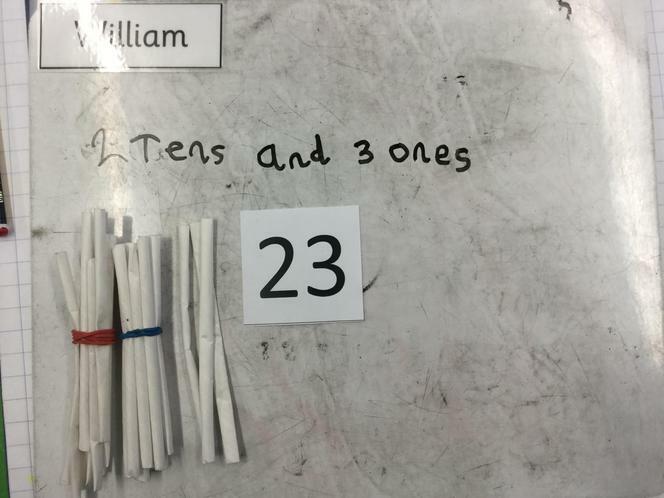 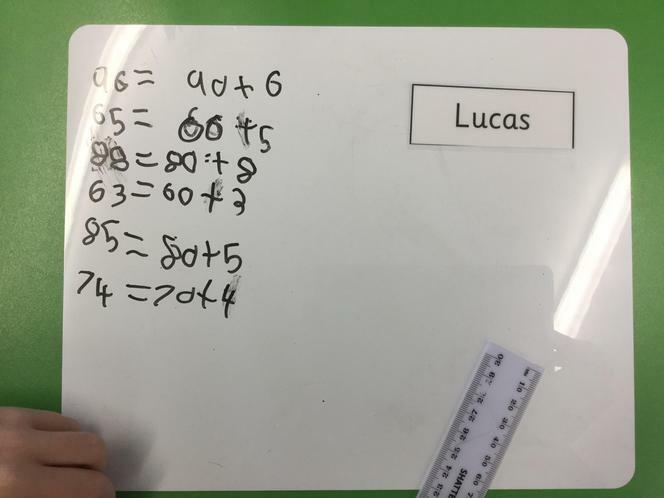 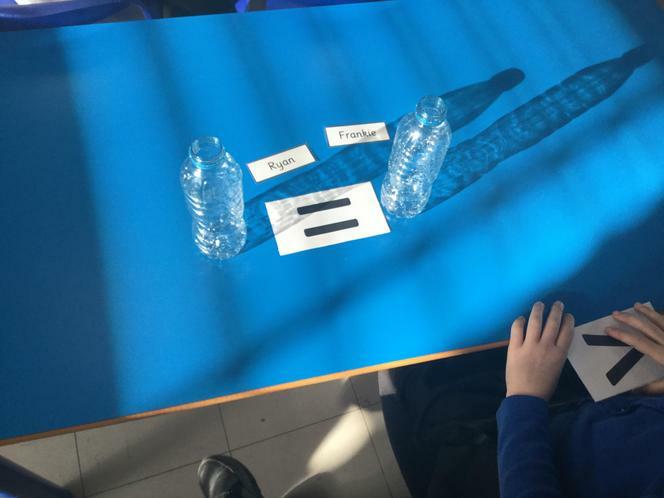 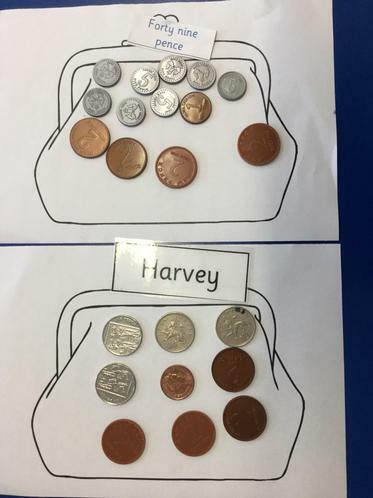 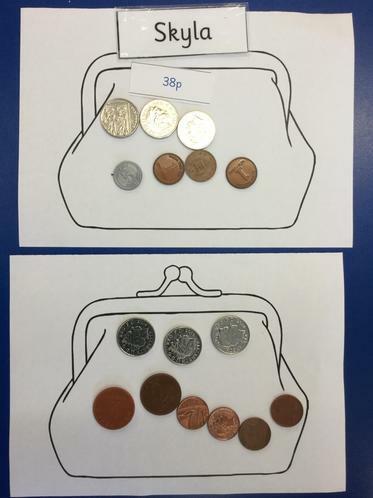 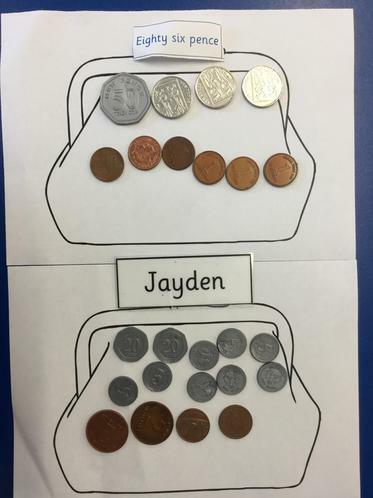 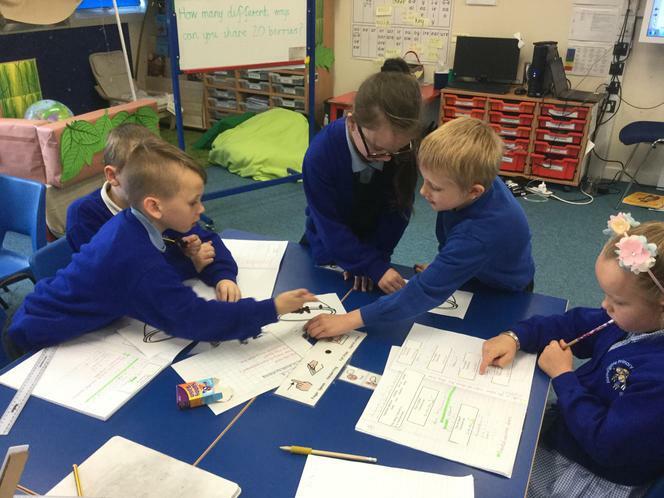 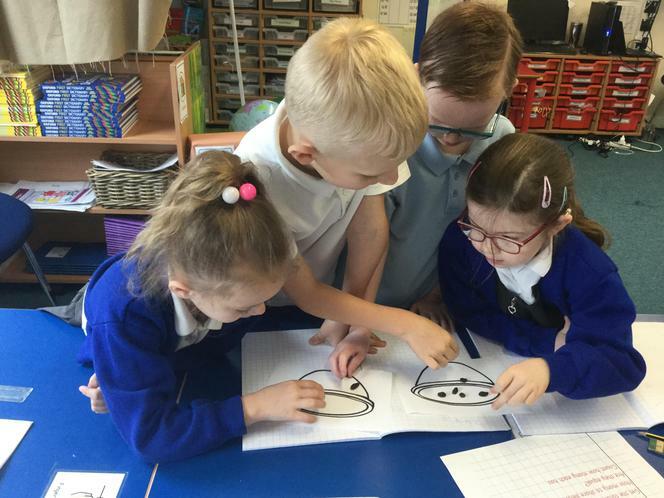 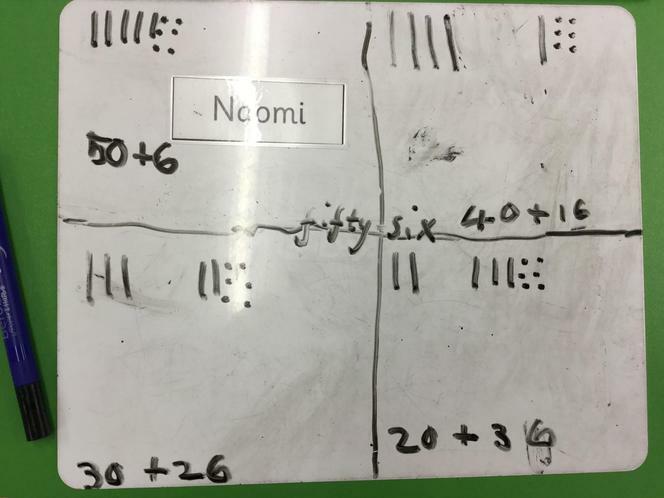 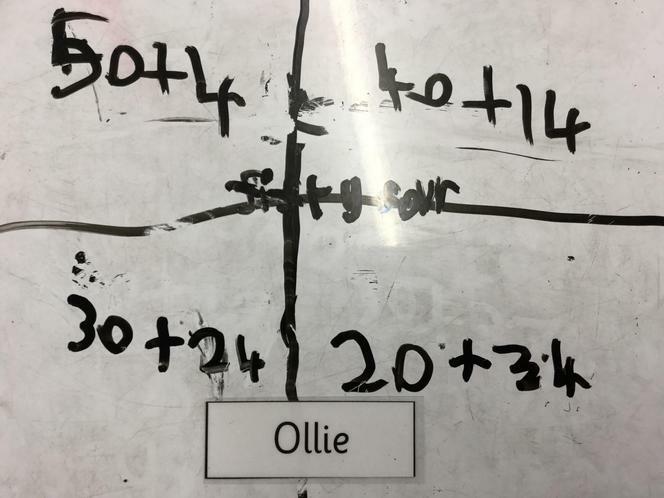 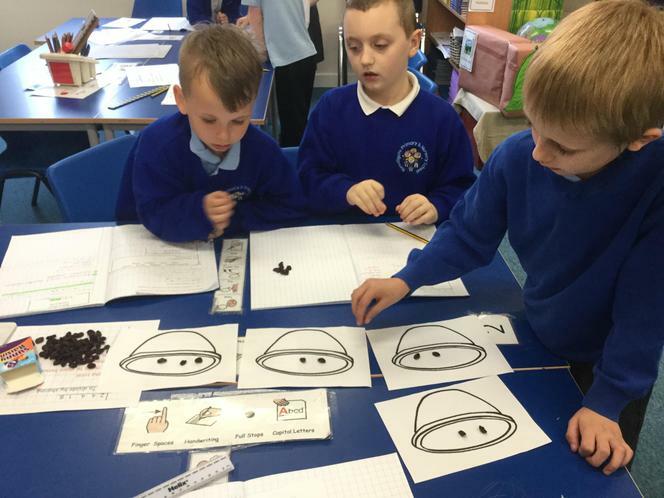 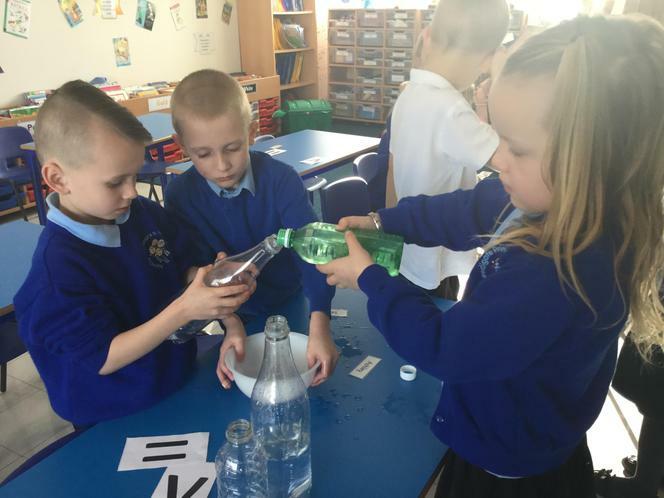 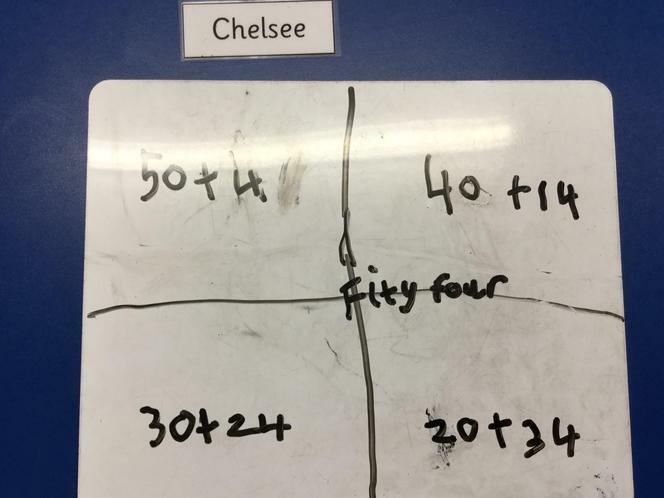 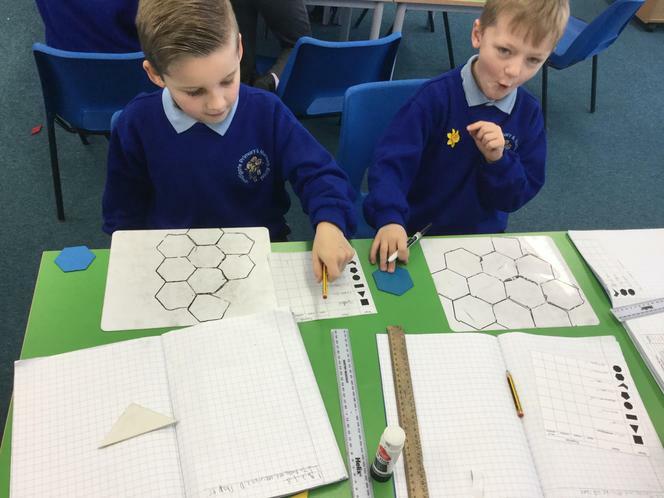 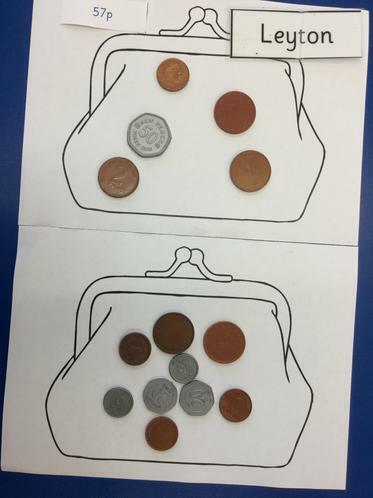 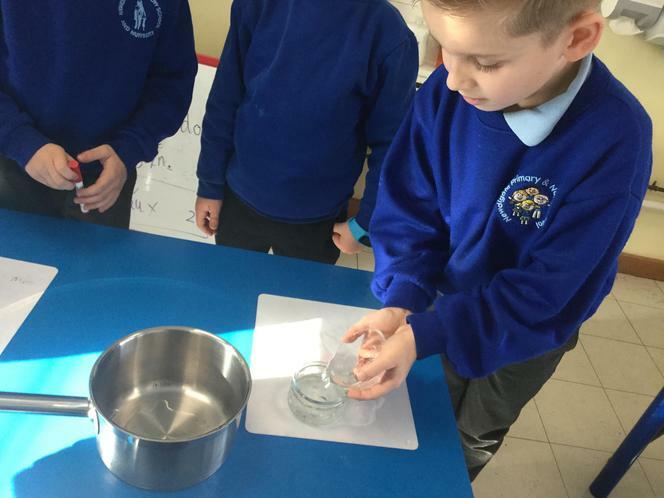 We tested the idea that if you swap the numbers round the answer stays the same. 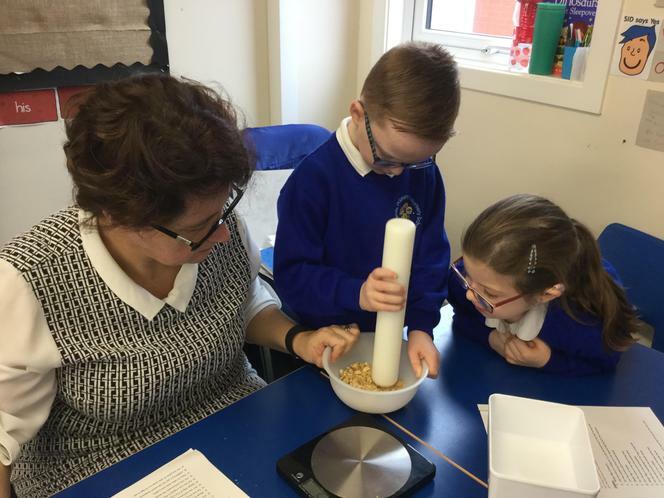 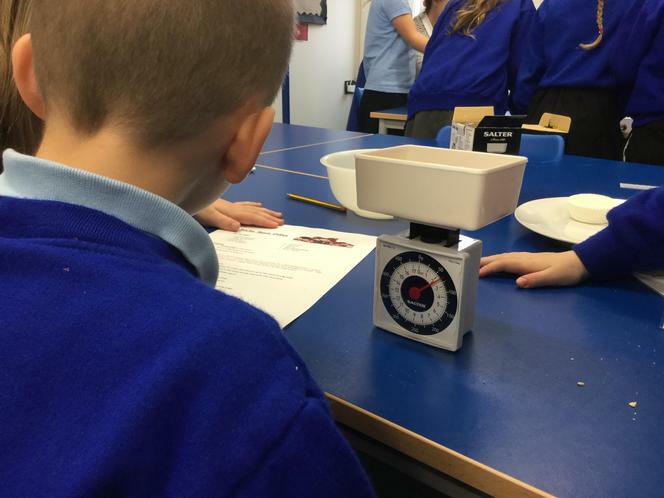 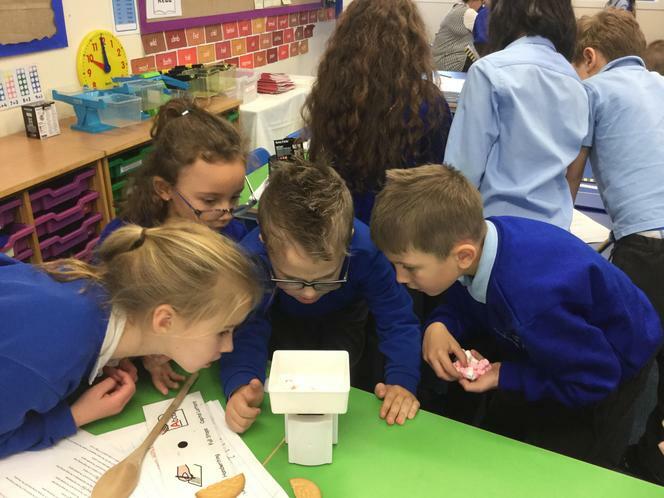 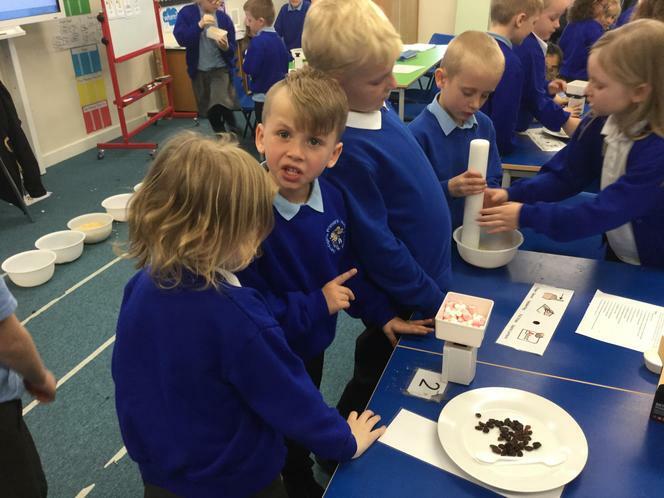 After weighing objects practically we ordered them using weight vocabulary as well as matching their weights to the corresponding scales. 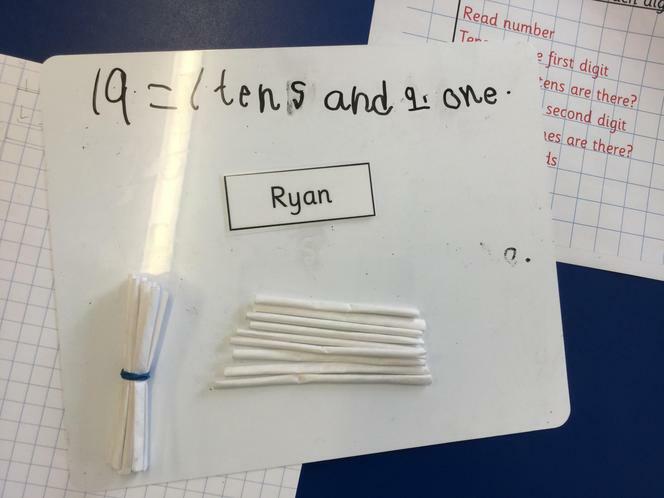 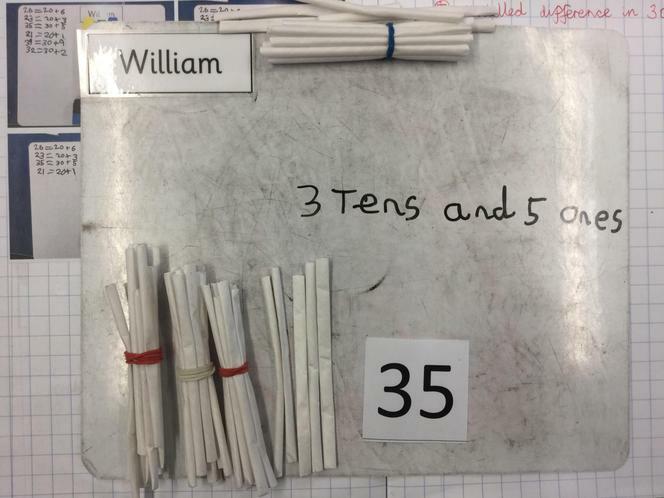 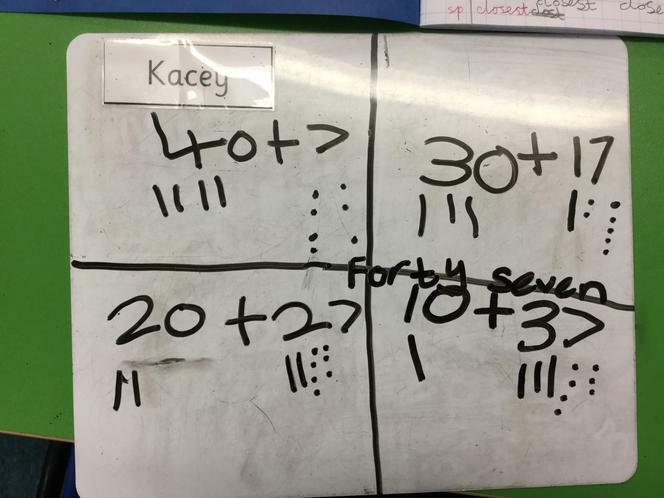 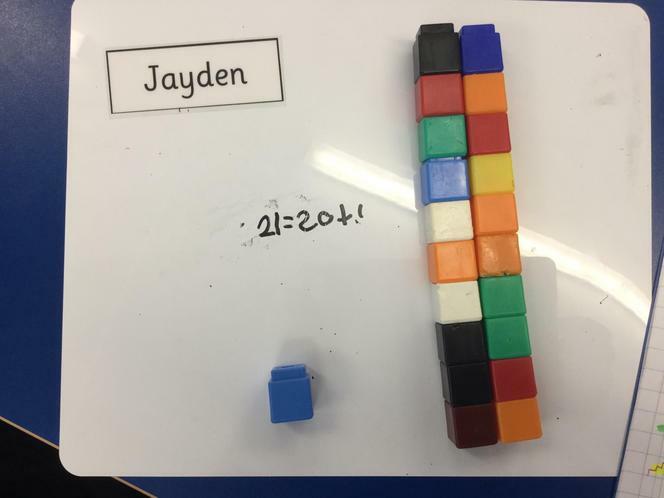 To do this we had to count in multiples of 2, 5 and 10.